Finally, here is a smartwatch that looks nothing like one. This is the Nevo, a basic smartwatch that aims to provide basic smartwatch functions without the cons of a smartwatch, including a chunky body and a battery that requires charging every other day. Made from premium materials, the Nevo is one smartwatch that will not look out of place in any occasion. The stainless steel body is not just sleek and minimalist, it is rated to be water resistant up to 3 ATM. 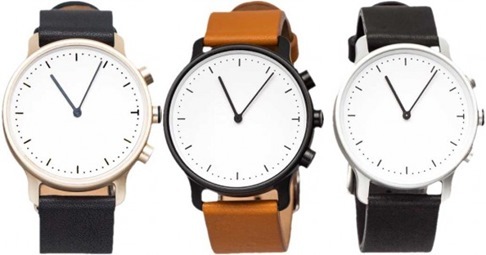 Each Nevo smartwatch will also come with two straps: a classy leather number in three colours, and a fabric strap for sports activities. Yup, what smartwatch is complete without some form of fitness tracking prowess? Unlike other fitness trackers, the Nevo stays true to its minimalist approach by only tracking what the user wishes to track, which include steps taken, distance travelled, calories burned and even how many strokes you made in that last swim. You can also set goals, such as a set number of steps or distance to travel on foot each day, and the watch has a surprisingly attractive LED indicator on the watchface that shows your progress with just a press of the crown. And, like other smartwatches, it alerts you when you’ve hit your fitness goal, as well as when you have a notification on your phone. This feature can even be used as a silent alarm. Perhaps the best part of the Nevo smartwatch isn’t just in its aesthetics. 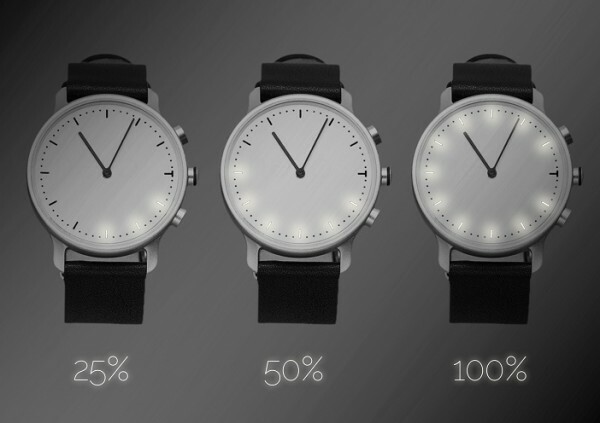 Unlike virtually any other smartwatch available today, the Nevo does not need to be recharged. Ever. It runs on two batteries, and both are inexpensive and easily available. The first battery powers the watch and has a lifespan of around five years, while the second battery is for the smart features and lasts for about six months – infinitely longer than having to be recharged every other day. With the Nevo app for Android and iOS, users can sync the watch with their smartphones via Bluetooth. 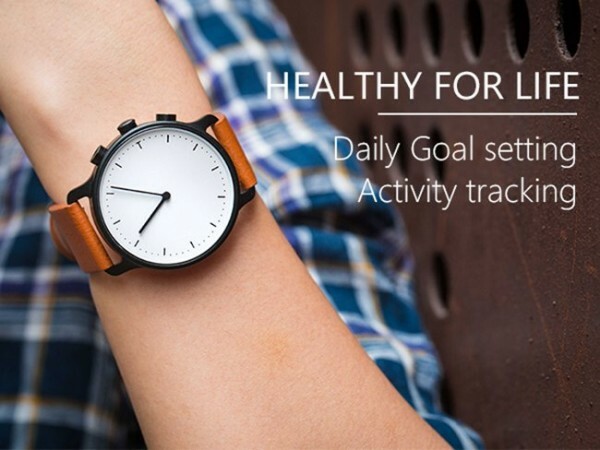 This app allows users to set their daily fitness goals, while also syncing for notifications. Even better, the Nevo also has an upgradeable firmware, allowing the developers to add more features into the watch. The Nevo smartwatch will be available in three distinct styles, inspired by three cities around the world: New York, Paris and Shanghai. The Nevo Indiegogo campaign has already convincingly reached its funding goal, with a hint of new stretch goals to add more features to the watch. If you wish to get this watch, you’ll just need to pledge $149 (about RM505) and a further $25 will be charged for international shipping anywhere in the world. This early bird package will also come with a limited edition card holder. 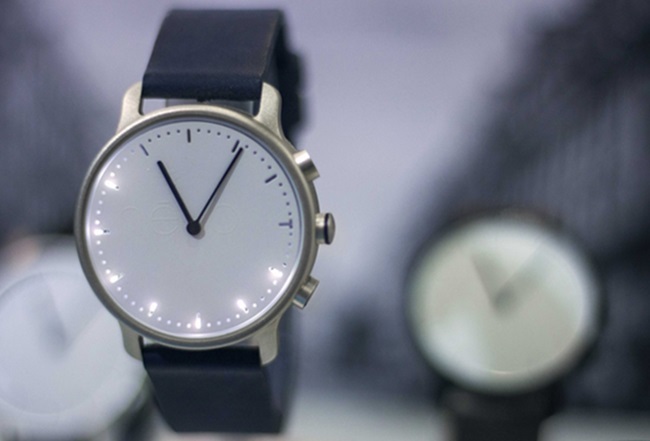 The Nevo smartwatch will begin shipping in March 2015. For more information or to make a pledge, head on to the Nevo Indiegogo page. You can even connect directly to its developers via its official Facebook page.